IBPS clerk 2018 Exam pattern changed. Click here to view the updated pattern ! About: IBPS CLERK examination is a common written exam or CWE conducted every year to recruit candidates for clerical post in multiple banks all over the country. All public sector banks use CWE scores as a selection criterion to fill the vacancies for the clerk post. Authority: IBPS (Institute of Banking Personnel Selection) is an autonomous body which conducts this exam. IBPS is conducting the CLERK exam for the seventh year now and hence named IBPS CWE CLERK VII. Job profile: A clerk is also known as ‘Single Window Operator’. A clerk performs daily office and accounts related tasks in a bank. Level: It is a national-level examination. Frequency: This exam is conducted once a year to fill up vacant positions in multiple banks. Stages: The IBPS CLERK CWE is conducted on two stages - preliminary exam and mains. Preliminary Exam - Students have to clear IBPS CLERK prelims exam to get qualified and shortlisted for mains exam. Main Exam - For getting selected into a nationalized bank through this prestigious exam, students have to clear the main exam. Mode: IBPS CLERK CWE is a computer-based test mainly conducted through online mode. Read more detailed information about IBPS CLERK 2018 Recruitment. Application window: IBPS CLERK 2018 Exam Online registration is expected to start on 18th September 2018. IBPS CLERK 2018 Exam Online registration is expected to close on 10th October 2018. Exam date: The IBPS CLERK preliminary exam is expected to be conducted on the 8th, 9th, 15th and 16th of December 2018 over multiple days. The IBPS CLERK 2018 Main Exam is expected to be conducted on 20th January 2019. Find out more about IBPS CLERK 2018 Important Dates. Age limit: IBPS 2018 age limit for 2018 should be between 20-28 years. Reservation: Age relaxation is provided for candidates who belong to the various categories. Find out more about IBPS CLERK 2018 Eligibility. Subjects: IBPS CLERK syllabus include: English, Quantitative Aptitude, Reasoning and General awareness. Reference books: There are several reference books that help in preparation of this exam. Read more detailed information about the IBPS CLERK 2018 Syllabus. Mode and Duration: Mode of the IBPS CLERK 2018 exam is Online and will be conducted for a duration of 2 hours 30 minutes. Language or Medium: The exam will be conducted in both English and Hindi languages. Read more information about IBPS CLERK 2018 Exam Pattern. Availability: The IBPS CLERK 2018 exam will only be available in online mode. The application form is expected to be available from 18th September 2018 to 10th October 2018. Registration: Registration can be done through the official website. Read more about IBPS CLERK 2018 Application Form details. Registration: The candidate should visit the official website www.ibps.in for registration. Application form: After registration, candidate's will be provided with the ID No. and password. The candidate has to sign in with the ID No. and password to get directed to the application form. Know more about IBPS CLERK 2018 Application Process. Availability: IBPS Clerk Admit card will be released by the conducting body 15 days before the exam. Download: Candidates are required to enter the Application Number and Date of Birth as the password for downloading the Admit Card. Know more about IBPS CLERK 2018 Admit Card. Availability: IBPS CLERK results will be updated once it is released by the conducting authority. There is no interview for IBPS CLERK, so the score obtained in the IBPS CLERK Mains exam is the deciding factor for the final selection. Qualifying Criteria: A candidate has to clear both the section-wise cutoff as well as the overall cutoff as decided by IBPS for qualifying the IBPS CLERK Exam. Know more about information about IBPS CLERK 2018 Results. Those candidates who are competing for this exam have to clear the cut off marks to advance to the mains paper and to the furtherv rounds as well. The IBPS Clerk Cut Off 2018 is different for deifferent states. The IBPS Clerk Cut Off 2018 Mains will also be released shortly. Although the expected cut off has been published on the website. You can also see the IBPS Clerk 2019 Expected Cut Off here. For detailed information about the cut offs, please feel free to visit the IBPS Clerk 2018 Cut Off section. The application fee for General and OBC candidates is Rs 600/- and it is Rs 100/- for SC/ST/EXSM/PWD candidates. Q: Will there be an interview after the mains round? No, there will be no interview for IBPS clerk recruitment process. Q: What is the desired educational qualification? The candidate must be a graduate in any discipline from a recognized University or any equivalent qualification recognized by the Central Government. Q: Is it mandatory to have computer knowledge? Yes, it is mandatory to have computer knowledge. Candidates should produce Diploma/Degree Certificate in computer operations/language or should have studied Computer/ Information Technology as one of the subjects in high school or college. Q: What documents should be uploaded while filling the application form? Candidates should upload a recent photograph, signature, left thumb impression and handwritten declaration. The size of the images should be between 20KB - 50KB and images should be in the jpg/jpeg format. Q: How many stages will be there in the IBPS Clerk exam? Q: When will the online registration commence? Aspiring applicants can apply on official website from 18th September 2018. Q: What is the prelims exam pattern? Q: What is the IBPS clerk mains exam pattern? Lastdate for applying for IBPS Clerk exam is 10th October 2018. Results for IBPS Clerk exam will be available from 5th March 2019. Counselling date for IBPS Clerk exam will be on 1st January 1970. Nationality: Candidate must be an Indian citizen/a subject of Nepal/a subject of Bhutan. A Tibetan refugee who came over to India before !st January 1962 with the intention of permanently settling in India. A person of Indian origin who came from Pakistan, Burma, Sri Lanka, East African Countries of Kenya, Uganda, the United Republic of Tanzania, Zambia, Malawi, Zaire, Ethiopia and Vietnam with intention of permanently settling in India. Age criteria: The candidate must be between 20 Years to 28 Years as on 01 November 2017. The candidate should be born after 02.09.1989 and before 01.09.1997. Educational Qualification: A candidate must possess the minimum qualification of Graduation in any discipline from a recognized University or any equivalent qualification recognized as such by the Central Government. The candidate should have passed in English as one of the subjects at SSC/ HSC/Intermediate/ Graduation level. 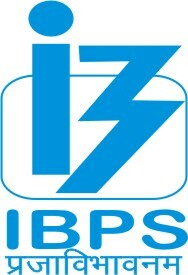 The graduate candidates can apply for the IBPS CLERK Examination. Candidate should have his/her scanned copy of photograph, signature and mark sheets of 10th and 12th examination before filling up the application form. The age limit for the candidate is 20-28 years. The candidate should visit the official Website www.ibps.in for registration. For registration, the candidate has to click on 'apply'. Candidates can use the registration number and password for the future edition in case any mistake happened. The fee has to be paid via Online mode only with the use of credit card, debit card, mobile banking etc. Fill the details in the page, insert the captcha and click the submit button. required specifications as given in Annexure C to this Advertisement. To enter the examination hall the candidate should carry their admit card and it is mandatory. On the official site of the IBPS CLERK, the admit card is released 15 days before the Exam. Admit card is mandatory to enter the examination hall. Click on the relevant link, verify the admit card before going to print. Enter the application number as User ID and DOB as the password. Print the copy of the admit card. Before appearing for the test, a candidate must go through the IBPS Clerk pattern carefully. Distinct pattern: There will be a different pattern for the prelim exam and the mains exam. Bilingual tests:All the tests in both the exams are available bilingually (in English & Hindi) except for the English Language. Negative marking: There will be negative marking for wrong answers. One-fourth (or 0.25) of the marks assigned to that question will be deducted as penalty for wrong answers. There is no penalty for unanswered questions. Score normalization: The scores will be normalized to equate the difficulty level of the papers in different slots. Cutoff: You will be required to score a minimum overall cut off in both Prelims and Mains exams. Quantitative aptitude : Ratio and Proportion, Averages ,Time and work ,Speed, Distance and time ,Mixture and Allegation ,Stocks and shares ,Percentages ,Partnership Clocks ,Volume and Surface Area,Height and Distances ,Logarithms ,Permutation and combinations ,Simple and compound interest ,Equations,Probability ,Trigonometry ,Profit, Loss and Discount ,Mensuration ,Elements of Algebra ,Data Interpretation ,Pie Charts ,Tables ,Bar & Graph ,Line charts. Reasoning: Verbal reasoning, non-verbal reasoning. General Awareness: Current affairs, an overview of Indian financial system, National financial institutions like RBI, SEBI, IRDA, FSDC and of International organizations like IMF, World Bank, ADB, UN etc and Banking Terminologies and Important Government Schemes on capital & money market. Candidate will be directed to the page shown below. For the result, the candidate has to enter their registration no. or roll no. and password or date of birth. The candidate will be direct to the next page where his/her result will be displayed. When will be the next IBPS clerk exam and when will its online form will be available? IBPS CLERK Exam Online Application Form Release date is 12th September 2018 and exam is expected to be conducted in the month of December. I got 50% in graduation. Am I eligible to give IBPS? A candidate must possess the minimum qualification of Graduation in any discipline from a recognized University or any equivalent qualification recognized as such by the Central Government to be eligible for IBPS Clerk 2018 exam.